Something big is coming on Friday, August 10th – and we’re not just talking about the premiere of Freaky Friday. 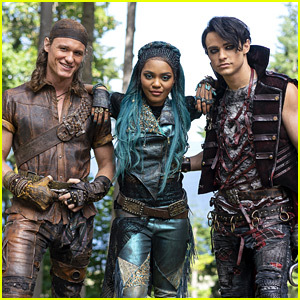 Along with the movie-musical debut, a reveal about Descendants 3 is also coming that same night and China Anne McClain, aka Uma, is freaking out about it in this teaser video. Looking through the comments on the video, some fans think it might just be a trailer or release date. Others have a better theory though – could Descendants 3 be going to the big screen?! “Please please pleeeeaaaasssseee let it be in theaters across the globe! That would be epiiiiicccc!” one fan wrote. Check out the teaser below and let us know what you think! 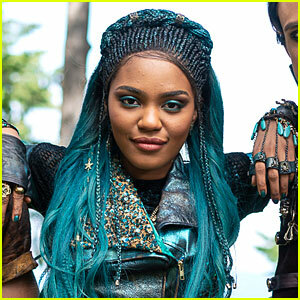 China Anne McClain is sharing what it takes to get into her wigs for Uma in Descendants 3! The Black Lightning actress shared a behind-the-scenes video transformation on her Instagram page. “Uma magic with @batistalil! Put something in the comments if you can spot @mitchellhopeofficial popping in😂,” she captioned the time lapse video. China‘s co-star Mitchell Hope popped up for a couple seconds and even flashed his abs! Earlier in the week, tons of BTS photos were released from the upcoming third film. Be sure to check them out if you missed ‘em! 'Descendants 3' Just Released A Ton of New Behind The Scenes Pics! 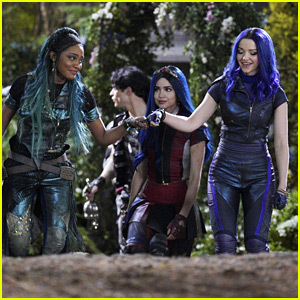 Descendants 3 just wrapped up filming last month and we were just blessed with a ton of new behind-the-scenes pics! 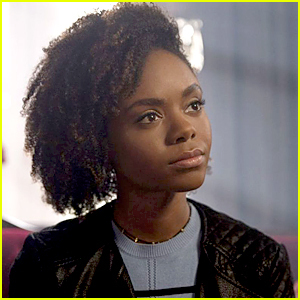 While no official plot has been released yet, we do know that the final movie will center on Mal possibly reconnecting with her father, and Audrey maybe, just maybe, tapping into her evil side. Dove Cameron, Sofia Carson, Cameron Boyce and Booboo Stewart will all reprise their roles as OG villain kids Mal, Evie, Carlos and Jay have in the third film. 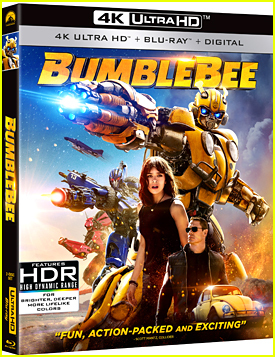 China Anne McClain, Mitchell Hope, Thomas Doherty, Dylan Playfair, Anna Cathcart, Brenna D’Amico, Zachary Gibson, Jedidiah Goodacre, Sarah Jeffery, Jamal Sims, Jadah Marie, Christian Convery Luke Roessler, and Cheyenne Jackson also star in the film. Descendants 3 will premiere in 2019 on Disney Channel. 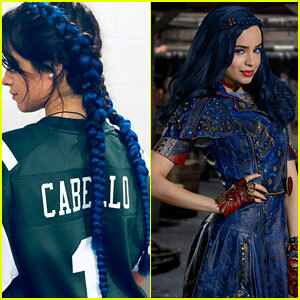 Camila Cabello is totally channeling Sofia Carson‘s Descendants character Evie! The “Havana” singer took to Instagram on Friday (July 20) to show off a pretty blue braided hairstyle, which she sported while opening for Taylor Swift during night one of her Reputation Tour shows at MetLife Stadium in East Rutherford, N.J. It reminds us so much of Evie’s deep blue locks, and we’re loving it! 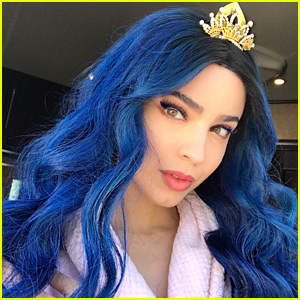 Sofia Carson is making us feel even more things after wrapping production on Descendants 3. 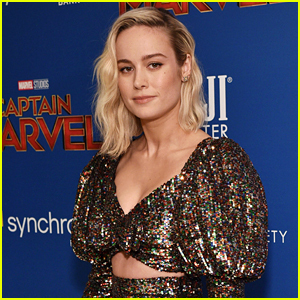 The 24-year-old actress has portrayed Princess Evie, the daughter of the Evil Queen, in all three movies and is saying goodbye to the character. “Dear world, Today is a wrap on Descendants 3. There will never (ever) be enough words. From the very bottom of my heart, THANK YOU,” she wrote in a sweet Instagram, with a slew of pics of the core four. It’s officially official – Descendants 3 is wrapped! Director Kenny Ortega was the first to break the news to fans on his Instagram, sharing a few images from the set and a few lovely messages to go along with it. “DESCENDANTS 3 It’s A Wrap! We wrapped it all up at 6:00 AM this morning in #LynnCanyon. A grateful heart full of thanks to the #disneychannel and my Cast and Crew. It has been the greatest gift working in partnership with you all!” he wrote, with a pic of him at the location. 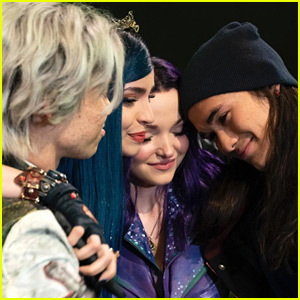 He added another message later with one of the final images of the core four – Dove Cameron, Sofia Carson, Cameron Boyce and Booboo Stewart. Check out his other Instagram below!